120 ENGINE: This 123 cc fan-cooled 4-stroke engine provides the power your little rider wants and the reliability you need to keep them riding. 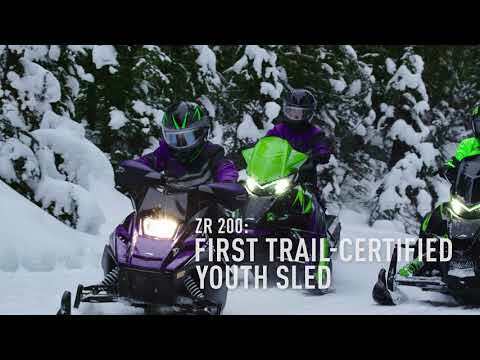 YOUTH FRONT SUSPENSION: Just like the mom and dad's ZR, our little version includes a fully operational front (as well as rear) suspension system. TETHER SWITCH: Safety first. If your little one ever gets separated from the machine while riding, the tether switch stops the machine. SAFETY FLAG: A young rider's little machine should be big on safety. 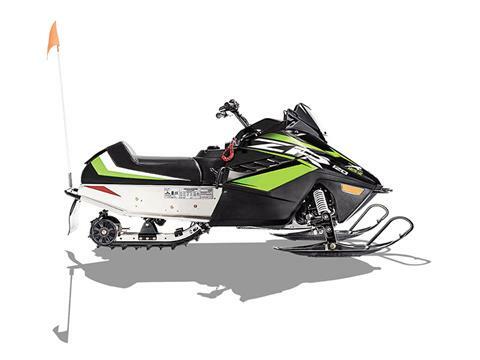 With our 5' high safety flag, it's easy to see where your little riders are at all times. 67-IN. COBRA TRACK WITH .75-IN. LUGS: This 67-in. Cobra track with 0.75-in. lugs is everything your little rider needs to own the trails and conquer the drifts.